Wheel Woolies are the safest and most effect way to clean vehicle wheels for the detailing enthusiast. 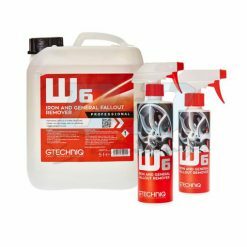 Detailers across the globe are now Wheel Woolies advocates due to the excellent job Wheel Woolies do cleaning the outside surfaces of car rims and wheels, as well as the small holes and crevices where brake dusts accumulates. The benefit of the Wheel Woolies comes from its metal-free design which reduces scratches and brush splatter. Twisted wire spoke brushes are known to damage rims and create residue splatter due to their tough bristles.The soft, dense carpet fibres of the Wheel Woolies are 100% polypropylene, recyclable and chemical resistant. These fibres are great for holding in suds to transfer them to the wheel. The three-piece kit is great for any wheel size opening.